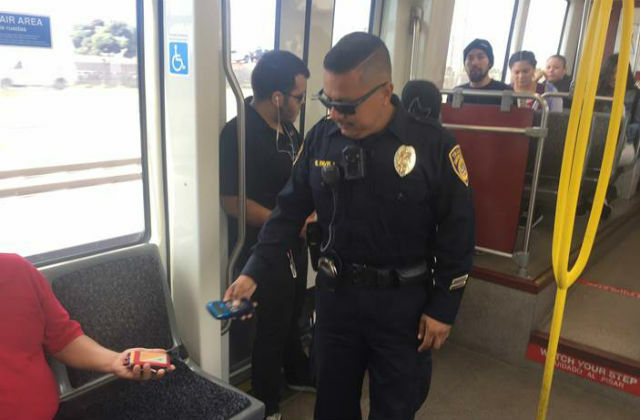 The San Diego Metropolitan Transit System has doubled the number of code compliance officers and implemented a beat system to keep trolley riders safe. The new security plan, which was implemented this month, increased the number of code compliance inspectors from 34 to 64 while reducing the number of contract security officers. The additional inspectors will enable MTS to implement a beat system, with each inspector paired with a security officer for every three to five trolley stations. MTS has approximately 200 inspectors and officers patrolling the system. The agency has also improved video surveillance systems and added a canine unit. MTS operates three trolley lines on 53 miles of double-tracked railway.